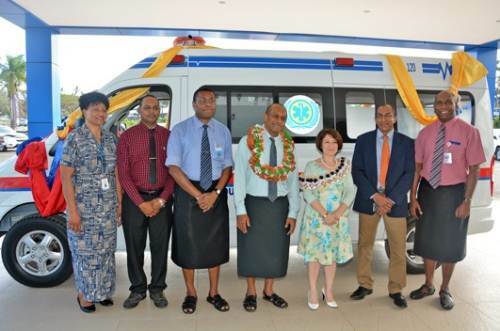 A new cardiac ambulance are now on shift in the Fiji, thanks to the Turkish Government donation, which give this vehicle to the islands. As reported on the Fiji Times Online this is the first of its kind in the country which is specifically for heart patients. The ambulance is expected to make a difference in the lives of people suffering from heart diseases. Turkish Ambassador to Fiji, Damla Say, adds they are determined to continue contributions to Fiji. “Fiji is an important player in this region and a very good friend of Turkey, Turkey and Fiji enjoy excellent bilateral relations, we also want to enhance and diversify our bilateral relations beyond development assistance.” Health Minister Jone Usamate says heart disease is one of the major killers and the cardiac ambulance is a huge benefit. Usamate says, patients will be picked up at home and be treated on the way to the hospital, with higher chances of survival. 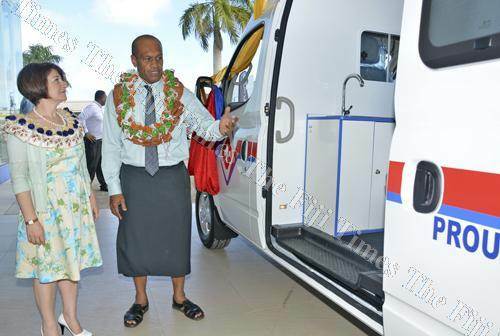 “The handover of this ambulance is a symbol of renewed and on-going commitment to boost health services across the nation,” Mr Usamate said. He thanked his predecessor Dr Neil Sharma, who was instrumental in the early stages of the discussions about the ambulance. The ambulance will increase the ambulance fleet at the Colonial War Memorial Hospital from three to four. How to prepare a Museum to face a natural disaster?